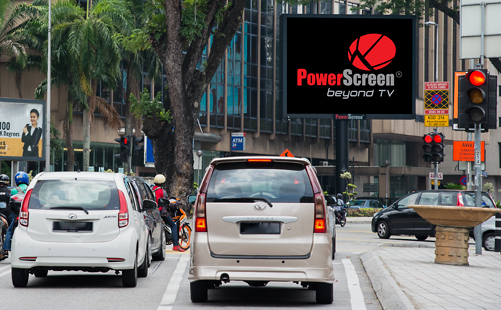 Hi-Q Media (M) Sdn Bhd, a subsidiary of Prolexus Bhd listed on KLSE Malaysia owns the brand of PowerScreen is the first LED Screen Owner & Operator in Malaysia established in 1999 with a paid-up capital of RM12 million and an investment exceeding RM 26 million. 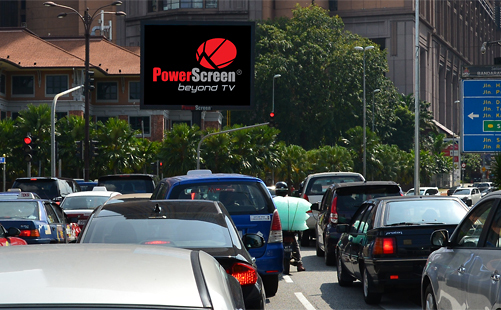 We are currently in the business of managing, operating, sales and marketing of media airtime of the largest Digital Out-Of-Home TV network in Malaysia with 14 PowerScreens located across 7 market centres viz Klang Valley, Penang, Ipoh, Johor Bahru, Melaka, Kuantan, Kuala Terengganu & Kota Bahru. The mission of PowerScreen is to be recognized as the most innovative & progressive media communication group in every part of the Asian region where we operate. We will accomplish our mission by providing Clients with the simplest yet creative idea in the form of a value-added proposition in addressing their marketing challenges. Our success depends on our ability to attract the most promising talents; Creating a challenging environment to encourage personal growth which stimulate lateral thinking; Help develop individual's personal goals and action plan; Ultimately, cultivate good team spirit which brings individual acts of inspirations to full realization. Creating an environment for people to learn and encourage creative thinking in the work processes which eventually leads to change of work methods for better results. Our organization's value is the guiding force which wires all our internal customers to produce team productivity through collaboration. In our approach, we advocate freedom of speech, freedom of ideas in all forms of communications and occasions; eliminate the traditional hierarchical approach; Moving people into their peak state at all times. The company's true personality is defined by our people. They are determined and enthusiastic, with a burning desire to succeed at all times. They are restless and do display a healthy irreverence for the status quo. They eagerly embrace our Client's interest and goals. Most importantly, they are always in pursuit of their personal goals which is consistent with the organization goals. Ultimately, each member of our company is motivated by an unending commitment to FIND A BETTER WAY.